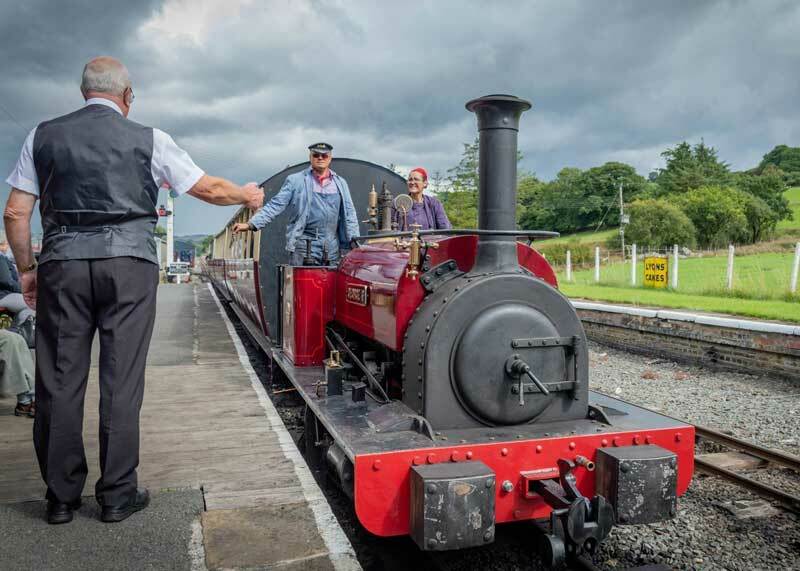 August was predictably another good month for the railway and, in spite of soaring temperatures in most parts of the UK, a certain amount of ‘liquid sunshine’ appeared, noticeably in the middle of our Bank Holiday Mini Gala. However, this did nothing to dampen the occasion and passenger numbers were healthy, the increases continue and BLR figures are still 5% up on last year. Our ‘Mini Gala’ over the Bank Holiday weekend was a classic case of not letting the period pass without doing something special. Hunslets George B and Alice were double headed back to back, a first on the railway. 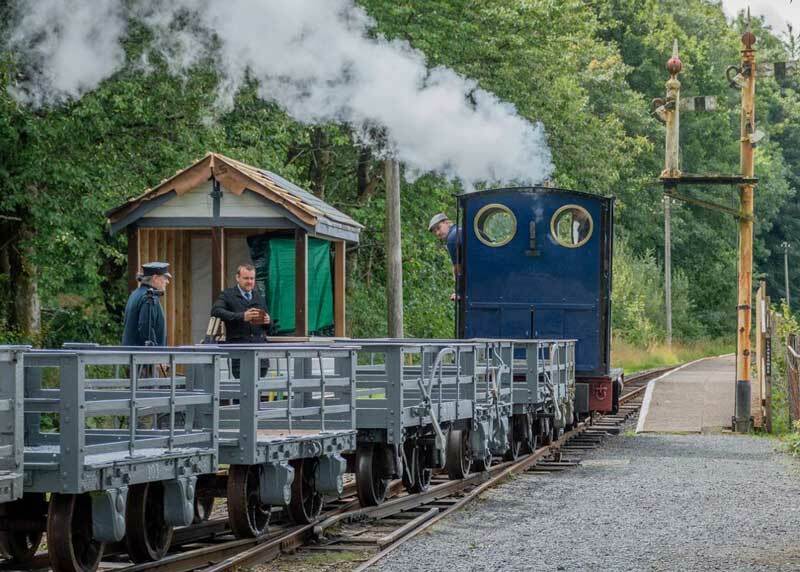 Regular readers will recall that the latter was ‘turned’ after her return from the Ffestiniog Hunslet 125 celebrations. As always on the BLR, any excuse to multiple-head a train is seized and Alice,George B and Winifred presented a memorable sight at the head of the coaches. Passengers were thrilled. One photographic freight service actually carried some freight, although, in truth, it was nothing more than lunch for the busy signaling crew at Llangower! But freight is freight and photographers loved it. A special thanks is due to Alan Ewart for providing us with all of the above photographs from our Mini Gala. The early evening barbeque specials earlier in the month were well attended and the setting of the beach next to Llangower Halt was a perfect location in which to enjoy great local produce and watch the sunset over the lake. Progress on the Penrhyn Coach is moving apace and David Hale forwarded his usual informative bulletin towards the end of August. 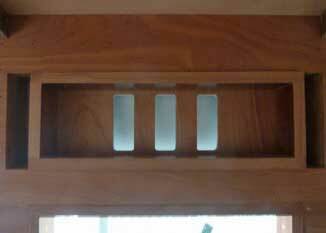 “Work has been proceeding on the high level vents with just the fill-in pieces yet to fit to the internal frames. The slots have been cut in the body, both sliding shutters cut and fitted, both internal frames made and fitted plus both external hoods made with the offside one fitted. 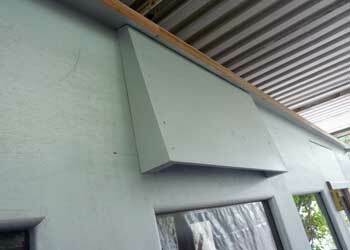 In addition, the thickeners for the roof edges have been made with the offside one already fitted. All should be clear from the photographs. 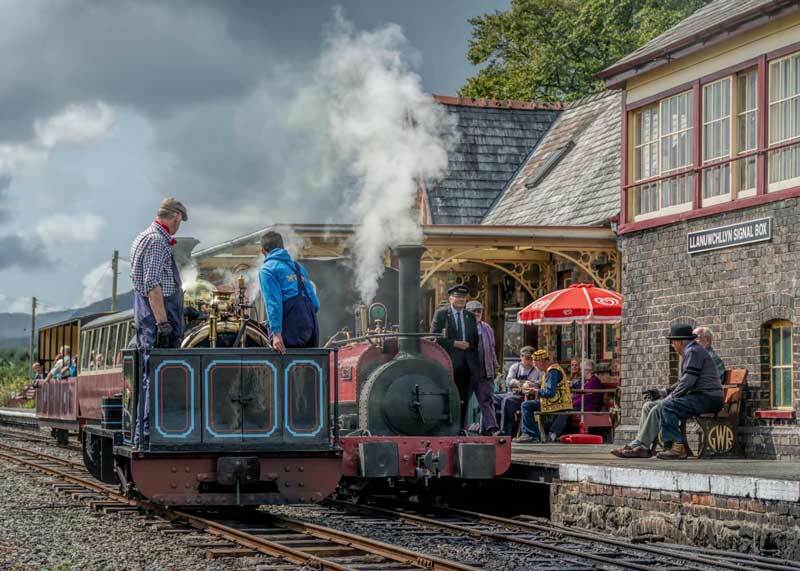 The Red Dragon Project, the BLR’s bold move to relink the railway with down-town Bala, received a boost with revised plans concerning the crossing of the River Dee, the biggest part of the whole operation. The original idea was to lay tracks down the middle of the road bridge, tramway-style. However, new plans, produced in conjunction with Gwynedd County Council’s highways department, would instead extend the abutments of the existing road bridge. Widening the bridge will require moving the lakeside parapet wall by 750mm, thus leaving sufficient room for the railway, the road and the remaining pavement on the downstream (east) side of the bridge. As the pavement on the west side of the bridge would be removed, two new zebra crossings would be provided at either end of the bridge for safe pedestrian access to the lake via the remaining pavement. 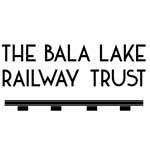 Adopting this plan could also provide a significant reduction in costs of the extension of the railway, particularly as only one level crossing, on the lane to Llangower, would be required. News of our Locomotives this month concerns two,Holy War and Chilmark. Holy War is due to have her 10 year boiler inspection and strip-down over the winter and the Gala was the perfect opportunity to highlight this grand old lady when she hauled her last train (for now) during the weekend with Dan Laidlaw at the regulator and Dave Rutt firing. 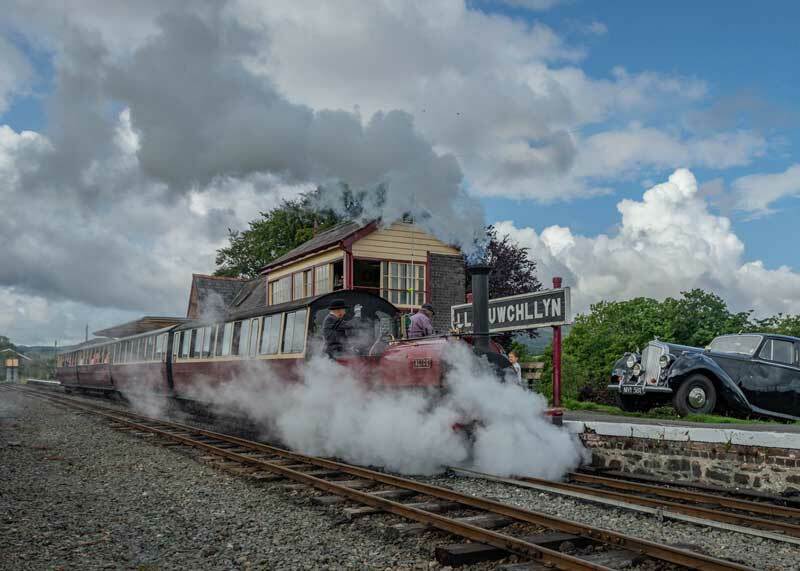 Needless to say, there was quite a bit of noise and fuss made of her as she returned to Llanuwchllyn at the end of her last trip, particularly from all the other locos on shed using the chance to really exercise their whistles. Chilmark is still in pieces with the problem of the drive to the injector pump yet to be resolved. Regular readers will recall that the motor had to be removed to give access to the bevel gears at the end of the camshaft which turn the drive through 90 degrees vertically to another set of bevel gears which in turn drive a shaft across the back of the engine to the pump. Replacement gear sets are proving very difficult to track down but there is a glimmer of light on the horizon. Firstly, we are still trying to source a new gear set, but in the meantime, our Chief Engineer, Rob Houghton, had an ingenious idea. The original diesel motor, which had been rebuilt shortly before the block was allowed to crack through lack of antifreeze, has been languishing in a corner of the carriage shed, the whole unit having only worked a handful of hours before the problem occurred. In the absence of replacement parts, Rob started wondering about ‘stitching’ the old block. This is an intricate procedure where metal staples are welded across the crack in a delicate manner. Special welding rods are required plus the block needs to be heated to the correct temperature, a critical factor as anyone who has tried to heat-shrink wet liners into a car engine will know. But Rob, in his usual positive manner, is willing to try and knowing his propensity for success under duress, he will succeed. Watch this space. 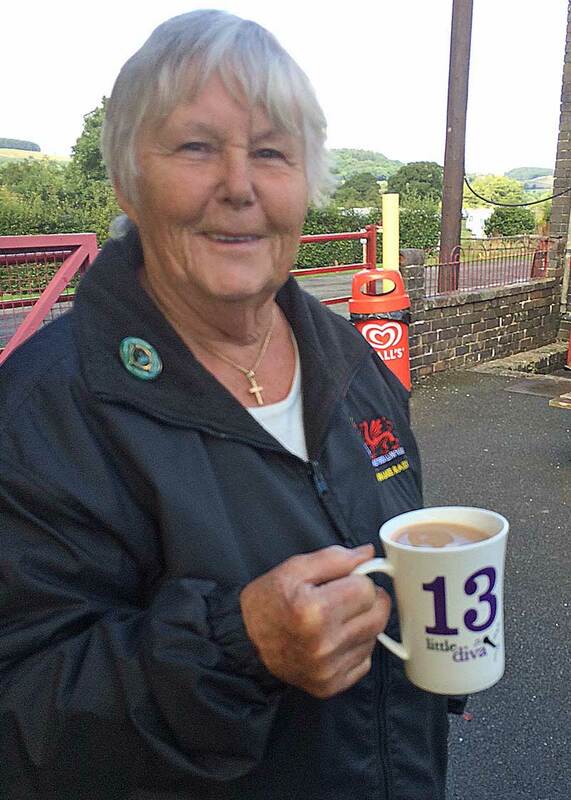 And finally…… we show a delightful photo of Barbara Cooper, one of our most loyal volunteers on the BLR, caught in a rare moment of tranquility, whereas she is normally to be found guarding, organizing something or running a stand at a BLR Gala. 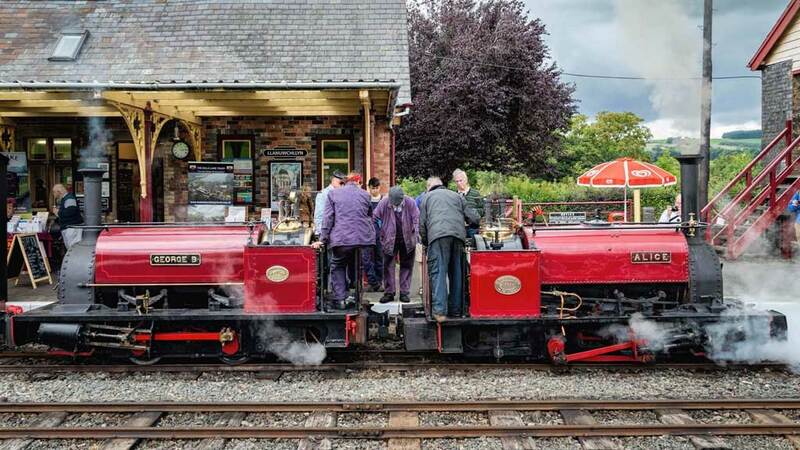 Together with her husband, Norman, who is a qualified driver on the line, both are qualified for signal-box duties (thus deftly side-stepping possible PC issues), and this retired couple has the sort of energy and plain oomph redolent of much lesser years.